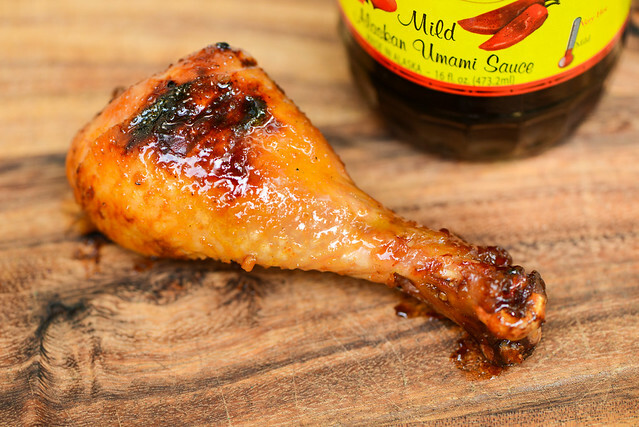 An excellent sweet, tangy, spicy, and savory flavor out of the jar would make this sauce a perfect choice to glaze a batch of wings. 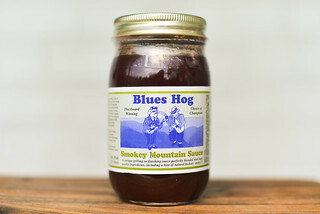 Alaska may be one of the last places you think of for barbecue, but that's where this sauce hails from. Girdwood, Alaska to be exact, invented by Pam Turner originally as a sauce for chicken wings. 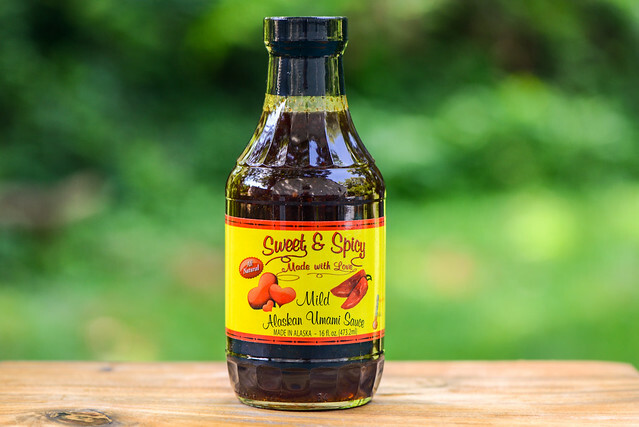 Realizing the sauce had grander callings than wings alone, Pam started experimenting with it, using it in everything from stir fries to seafood. Word began spreading about her sauce and its many uses, which led Pam to bottle it under the name "Alaskan Umami Sauce" and start entering it in competitions, where it has fared well, winning a host of awards over the years. A savory quality is the first thing to hit in the aroma department. 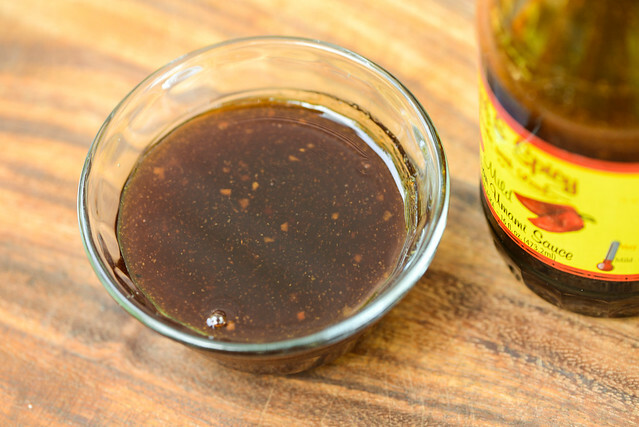 It has an almost soy-sauce like bent with a strong sweetness that seems to come primarily from molasses. There's a mellow tang along with definite components of dried spices, smelling mainly of garlic and onion powder. There's a slight hint of heat as well, but overall the sauce is sweet and mild. This dark reddish-brown sauce is semi-transparent, which allows you the see the plethora of spices throughout that are mostly white and come in small and larger specs. It has very smooth, very thick syrupy consistency with a molasses-like pour from a spoon, falling in a slow and steady stream. It takes a long time for the sauce to stop flowing, but once those final drips do release, a thin, transparent coating of sauce is left clinging to the silverware. The first taste of this sauce is a spoon full of sugar. Well, brown sugar to be exact—it's sweetness comes along with a strong molasses depth. As the sauce settles on the tongue, it gains a mellow tang followed by the flavors of both garlic and onion powders. 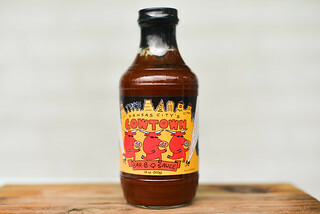 There is a savory quality that's in the background at first, but enhances as the sauce sits and then reaches an apex just as the vinegar amps up more and a mild heats pushes its way in. This renders the final taste one that's still primarily molasses sweet, but has a nice balance of heat and tartness as well. The sauce coated the chicken in an even layer that was pale at first, but baked down and built up over multiple brushings, leaving the chicken with a final attractive orange hue. The sauce did start to burn while over indirect heat, then blackened quickly once moved to direct heat. The flavor out of the jar didn't hold up so well after being cooked. The boldness of the flavors were almost completely diminished, leaving the chicken tasting somewhat bland and burnt. This was the third in the line of the Alaskan Umami Sauces that I tried and this suite has turned into a "three bears" story to me. The "extra hot" was just too hot to be enjoyable, the "mild" was too mild to hold up well on the grill, but the "hot" was just perfect. That's oversimplifying a bit though, because out of the jar, this mild sauce was damn tasty. I could certainly taste its roots as a chicken wing glaze—it had a great sweet, tangy, and spicy balance that I think would make for truly excellent wings. Where it fell short was when it was grilled and all the tang, heat, savoriness, and spice nuance were lost, leaving it almost singularly sweet, but not sweet enough to mask the burnt flavor from the spots where the sauce had blackened. 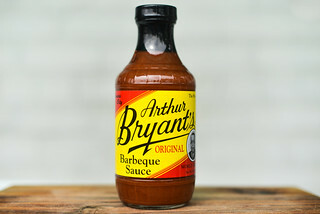 So I wouldn't hesitate picking this up to use a finishing sauce for chicken and pork, but if I wanted to go with one that performed all the tasks I wanted to achieve well, I'd take a step up and go for the "hot."